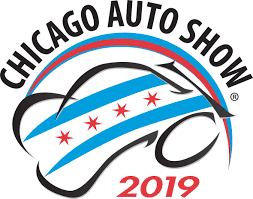 Saturday, February 9, through Monday, February 18, ride free on ALL Westbound weekend and off-peak weekday South Shore Line trains during the 2019 Chicago Auto Show (Off-peak weekday trains arrive at Millennium Station after 9:30 am CST and depart Millennium Station before 3:30 pm and after 6:30 pm CST). This is also the perfect opportunity to take advantage of free Westbound rides for Valentine’s Day, and plan a date in the city. Note: Eastbound Trains 109, 119, 121, 123 terminate at Carroll Ave. ; Train 209 terminates at Gary Metro Center; Trains 9, 17 & 19 terminate in South Bend. Please note: All weekend trains except Train 601 serve McCormick Place. When waiting to catch an outbound train at McCormick Place please stand on the platform in clear view of train engineer. Presidents' Day, Monday, Feb. 18, 2019, the SSL will operate a regular weekday schedule with the above trains serving McCormick Place.